Dan Scofield is an artist, filmmaker, saxophonist and student in ITP's class of 2012. I invited him after I became fascinated with his student projects Cadence Chair and Mossitar. 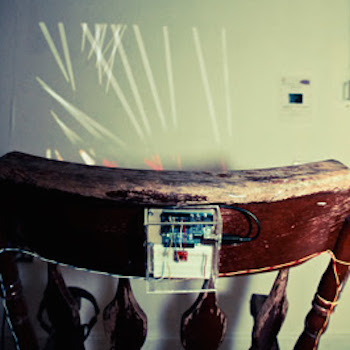 In addition to his new work in computational media and physical computing, Dan has been performing on the east coast for the past decade and has embarked on numerous cross-country tours. He has collaborated or recorded with Sonic Liberation Front, Bobby Zankel's Warrior of the Wonderful Sound, Inzinzac, Odean Pope, Peter Brotzman, Tim Berne, and ShotxShot, among others. Dan recently co-directed the short documentary Just a Guy Who Knows: a Film About Sonny Simmons. Dan graduated from the University of the Arts in Philadelphia with a bachelor’s degree in jazz performance.